1. Hiking in the Great Smoky Mountains – It’s not uncommon at Carolina Bound Adventures when we get a call for an Appalachian Trail Shuttle and we greet families with kids that want a good hike, or even an overnight backpacking adventure. It doesn’t matter if you are new to the outdoors. Try our Carolina Bound Adventures 1/2 Day Guided Hike. We specialize with individuals and families new to the Western North Carolina area, or new to hiking that want to get out and hike, but may not have the experience or gear and want a Guided Adventure. We love introducing families and kids to our beautiful Great Smoky Mountains. 2. Mountain Biking. 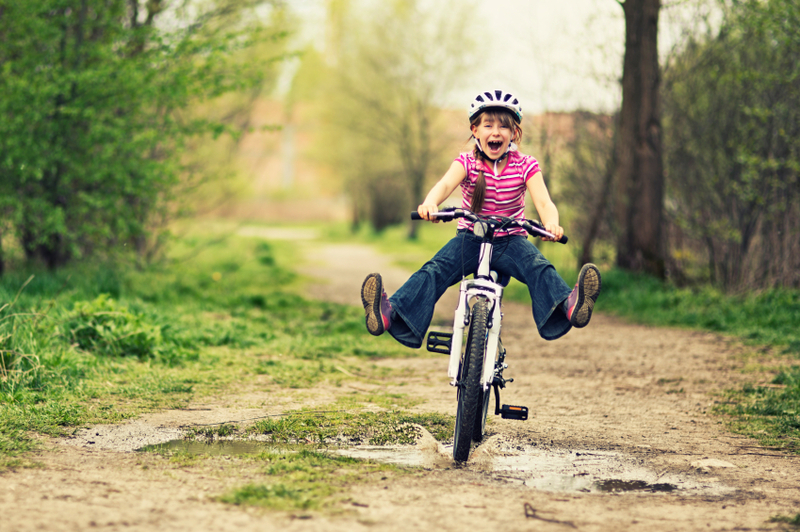 If the kids have ridden a bicycle on sidewalks or pavement, then they’re ready to give Mountain Biking a try! We’ve got rental mountain bikes available with gentle starter trails and offer Guided Mountain Bike Adventures for those new to the sport. When they’re feeling a bit more confident, and your Bryson City things to do list still includes a bike, there are groomed mountain bike trails out towards the Fontana Lake area that are manageable and navigatable for kids as well. 3. Whitewater Rafting. Mom! It’s OK!!! Whitewater Rafting on the Nantahala River near Bryson City, NC is family friendly and one of the biggest attractions in the area. 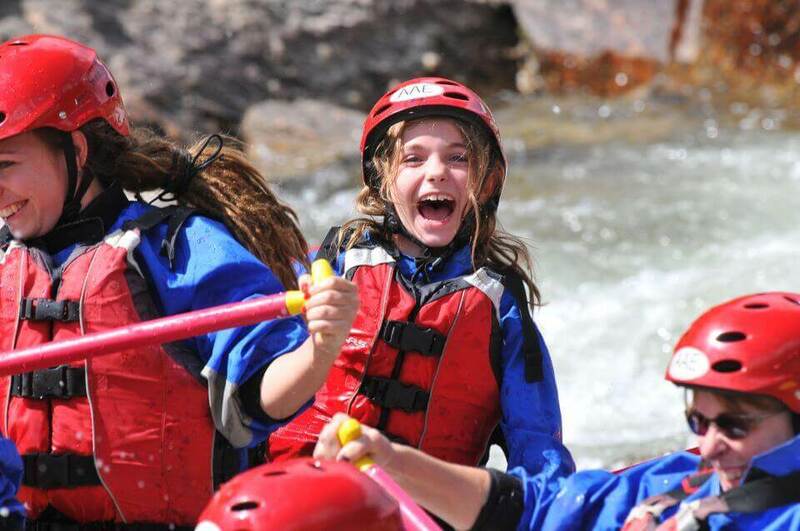 At Carolina Bound Adventures, we’ve paid great attention to Smoky Mountain Rafting Reviews and have collaboration partnering with the best and most fun Whitewater Rafting Outfitters in the Bryson City Nantahala area. The Guided trips are fun and splashy. Perfect for cooling down on a warm summer day. 4. Lake Kayaking or Paddle Boarding. The Nantahala River Gorge puts a beautiful flow of fresh mountain stream water into Fontana Lake. Carolina Bound Adventures has availability for Fontana Lake Kayak or Paddle Board rentals or, if you prefer, we offer Private Guided Lake Kayak or Paddle Board Experiences also. If the kids fall in, so what? It’s a good way to get them rinsed off before the campfire and s’mores! 5. 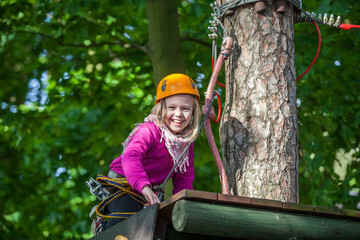 Ziplining for Kids Ages 4 to 12. Do you have a kid that’s a budding adrenaline junkie? We have a fun aerial zipline playground you can book here where the kids can zip, climb and play in the trees of the Nantahala Gorge. Let the kids zipline while parents, grandparents and others can watch and take pictures. 6. Pontoon Boat on Fontana Lake. One of the family fun things to do near Bryson City, NC is to book Fontana Lake Boat Rentals through Carolina Bound Adventures. Book a 1/2 day Pontoon Boat Rental here or make a full day out of it… Pack a lunch, grab some floaties, suntan lotion and fishing poles plus some cold beverages for a big family day. Don’t forget the camera! 7. Visit Cherokee NC. If you’re exploring additional things to do around Bryson City NC, Cherokee is just 10 minutes North. Cherokee is a town on the reservation home of the Eastern Band of the Cherokee Nation and is loaded with adventure and activities. One of the most popular activities is “Unto These Hills” Outdoor Drama which recounts the history of the Cherokee Indians in the Great Smoky Mountains. If it’s a warm day, visit the Oconaluftee Islands Park. The generally shallow depth of the Oconaluftee River invites stone -skipping contests, building an ancient Cherokee fishing weir, or just wading up to your ankles to beat the heat. 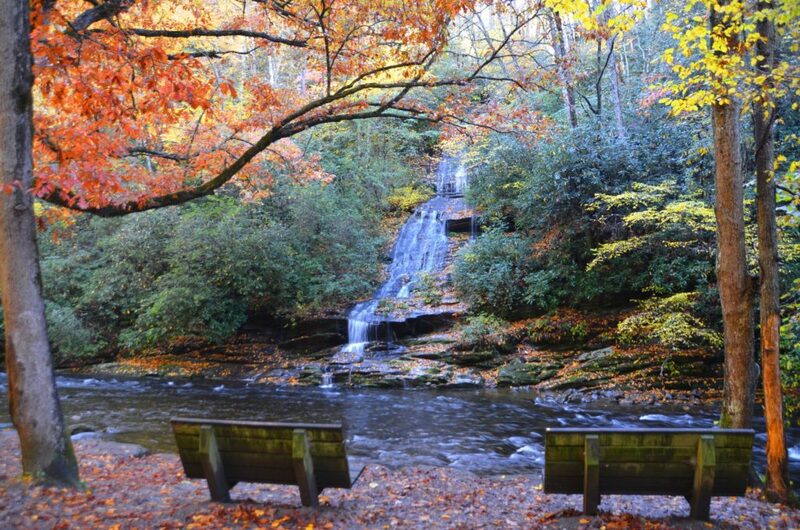 Don’t forget Elk viewing and Mingo Falls when you visit Cherokee also. 8. Railroad Excursion on The Great Smoky Mountains Railroad. Tops on a Bryson City things to do list is a Great Smoky Mountain Train Ride. As a 1702 Club Member, we feature the opportunity for you to book a Nantahala Gorge Train Ride through us. Or mix it up: take a Nanatahala Gorge Ride and add Whitewater Rafting to it: The Raft and Rail Package. Throughout the year there are special events on our Bryson City Railroad. This April 19th and 20th, don’t miss the PEANUTS™ Easter Beagle Express! 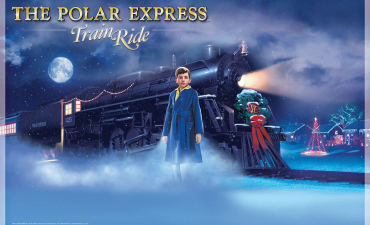 PEANUTS™ The Great Pumpkin Patch Express returns in October and as the year ends, come All Aboard THE POLAR EXPRESS™ Train Ride. “My kids had a great experience with Carolina Bound Adventures! Our adventure package included geocaching and gem mining and was perfectly suited to their skill level for a 3 and 4 year old. Mark really showed them a fun time and became their friend very quickly! He was patient, kind, very knowledgeable about the area, and an excellent planner. As a mom, I was impressed to find he has a certification in Wilderness First Aid and was carrying the essentials in case someone got a “boo boo”. He had everything covered and I didn’t have to plan a thing!! My kids got worn out and we had a blast making wonderful memories hunting for treasures! Don’t hesitate to book your next adventure with Carolina Bound Adventures, you won’t regret you did!” Joanna K.
1. Paddle Boarding on Fontana Lake. Watersports are a popular summertime favorite here in the Nantahala National Forest, including a Fontana Lake Paddle Board adventure. When you book a Smoky Mountain Vacation through us, this will be one of our top recommendations, because who doesn’t like the cool splash of crystal clear lake water on a warm afternoon? At Carolina Bound Adventures, we’ve got Paddle Board Rentals or, if you prefer, offer a Guided Paddle Board experience! 2. Fontana Lake Kayaking. So we’re big fans of Fontana Lake as you can see! We offer Fontana Lake Kayak Rentals, or Guided trips for those that want to get out there, but prefer the guided experience. The beautiful water flowing out of the Nantahala Gorge into Fontana Lake arrives via the cool waters of the Nantahala River. But never fear… Fontana Lake Kayaking is warmer than her cousin, Whitewater Rafting on the Nanatahala River. 3. Pontoon Boat Rental on Fontana Lake. Have you noticed a pattern here? We love the Lake! Most of the time, Fontana Lake boat rentals are of the Pontoon Boat variety. 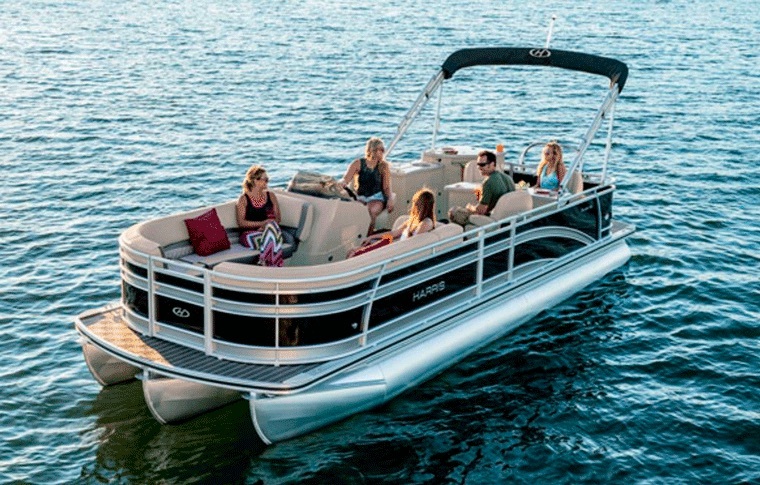 Pack a cooler, lunch, a tube or two, the family and friends, head out to the Lake on a Pontoon Boat and you’ve got a geniune vacation day to remember. Don’t forget the camera! Advance reservations recommended. 4. Whitewater Rafting with Rail Ride. A popular booking at Carolina Bound Adventures is the Raft and Rail, which puts you on the Great Smoky Mountains Railroad for a trip into the Nantahala River Gorge, and then an exhilerating whitewater raft trip down the Nantahala River. After the train crosses Fontana Lake in the Smoky Mountains, it travels a bit longer up into the gorge, stops, and then you are shuttled off to a rafting adventure. The Bryson City Raft and Rail is a big day, with big fun! 5. Zipline in the Nantahala Gorge. If you’ve never ziplined, this is the place to start! If you’re a Zipline aficionado, then this is your mecca! On Ziplines in the Nantahala National Forest, you have beautiful views of the Great Smoky Mountains and Fontana Lake. If you want a Bryson City Zipline combined with a Smoky Mountain Train Ride, we offer a product package where you can ride our Bryson City Railroad on a Nantahala Gorge excursion, and then get off to go Ziplining. Folks here call it the “Tarzan Train”. We call that a big day! 6. Breweries Tour. If you like Craft Beer, than you’ll probably want to seek out a Bryson City Brewery… and maybe more! Bryson City boasts 2 fabulous breweries and one of the premier taprooms in Western North Carolina. A Bryson City NC Brewery stop or two is fun, but you want the big fun adventure on your vacation, right? Carolina Bound Adventures offers a Waterfalls and Breweries Tour where our “Brew-bur” Driver takes you to 4 beautiful Waterfalls, and then 5 Breweries around Western North Carolina. All the fun… none of the risk! 7. Explore Waterfalls in the Great Smoky Mountains. There is a good selection of beautiful Waterfalls near Bryson City NC. Carolina Bound Adventures offers a Guided Bryson City NC waterfalls tour, or stop in the Swain County Visitor Information Center and pick up a self guiding map for local waterfalls. 8. Fly Fishing in the Great Smoky Mountains. No gear or experience necessary! The Fly Fishing excursions we offer include the guide, plus gear, and you have options to take a wading trip or float trip. Our local Bryson City Tuckaseegee River is stocked with Trout and boasts around 35,000 Trout per mile! Fun for the whole family! 9. Horseback Riding. A family favorite booked at Carolina Bound Adventures is a Nantahala Horseback Riding selection. This family fun adventure requires no riding experience and is open to children 5 years of age and older. Guided horseback trips will allow you to enjoy beautiful wooded scenery in the Nantahala Gorge, an overlook of Fontana Lake and the Great Smoky Mountains in the Nantahala National Forest. 10. Mountain Biking – Get off the pavement! There are family friendly trails here in the Great Smoky Mountains in addition to moderate to aggressive riding. If you want to try mountain biking and prefer a Guided Adventure, Carolina Bound Adventures has your solution. You don’t need to have a bike as we partner with a local bike shop that will rent you a bike, or we meet groups at the trailhead and outfit everyone. 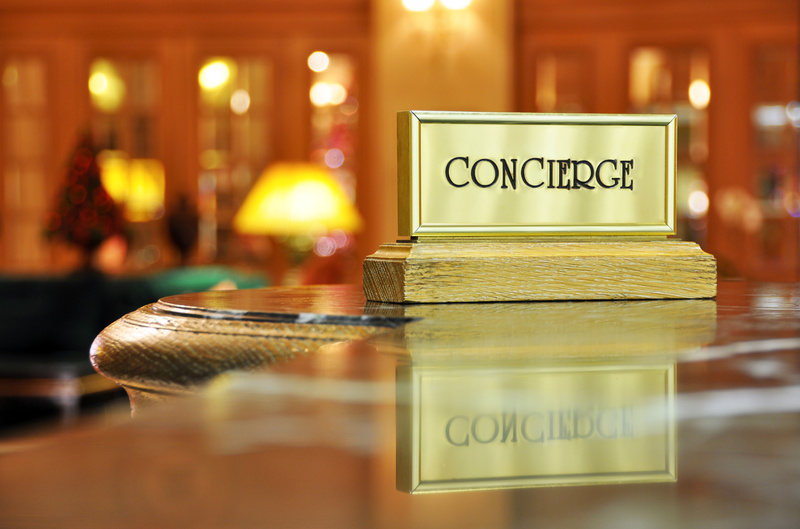 Why Use a Vacation Concierge? Vacation planning… researching, reading reviews, sending emails, waiting for messages left for information. Vacation planning takes a lot of time. Especially when there’s too much information and not enough expertise. Wouldn’t it be great to have a local expert plan your trip to the Bryson City / Western North Carolina area? You’ve done it… You’re traveling on business or on vacation. You check into the hotel, get unpacked and then have some free time to explore. You head down to the lobby and spot the Concierge desk. It’s a beautiful thing meeting the Concierge as they have all of the knowledge for the area and save you a ton of wasted time. Thinking about your 2019 vacation and not sure where to go yet? Come take a Smoky Mountain Vacation where there are plenty of things to do… whitewater rafting, mountain biking, kayaking or paddle boarding on a beautiful lake, zip line, rock climb or just rent a pontoon boat and cruise around Lake Fontana. New to the outdoors and prefer the guided adventure? Carolina Bound Adventures offers guided day hikes, waterfall hikes, mountain biking, backpacking and their super popular, Waterfalls and Breweries Tour. 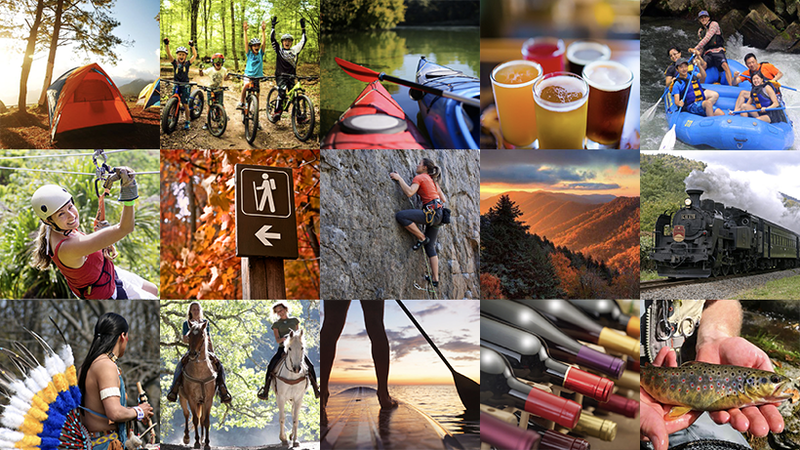 Call us and just say, “Plan my vacation for me!” Come play in the mountains – but first save time vacation planning with Carolina Bound Adventures… your Smoky Mountain Vacation Planners!